I used to be obsessed with being ladylike. Like many young women, I was classically trained: legs crossed and posed slightly to the side for a girlie touch, posture always upright (stomach in, shoulders back), voice never too loud, and I could curtsey on cue if I needed too (just kidding—but not really). I was careful to ensure that in all that I did, I seemed classy and put together as I believed a lady should. Yet, these ladylike rules display a power structure that favors men and expects women to step aside…and I mean literally step aside. I thought to myself, “Damn, Jeremy is so rude.” Yet, the guy coming toward us didn’t move either. Neither was willing to step aside, so they kept walking toward one another until they were so close, they almost kissed. Then finally, they moved out of one another’s way. Neither of the guys felt the need to give up space as quickly as I did. Were they both rude? Or were they not trained to step aside as quickly as I was? My Women’s Studies professor discussed this in class, explaining that usually when walking, women are more likely than men to yield to people passing by. We are more likely than men to step aside, surrender shared armrests, or move over to make space for others. This shows a physical display of power whenever we readily give up space. You may think: Well, moving out of the way is being polite. I think so too. I think it’s nice to move out of the way or at least share the sidewalk, armrest, or park bench. However, why is it that women learn to be polite in a way where we to give up space while men are not expected to be polite in the same way? Also, compare how women sit versus how men sit: legs crossed vs. legs wide apart. 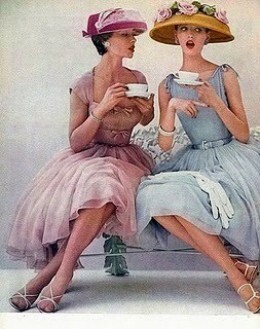 In addition to give up space, women usually take up less space, as it is the ladylike thing to do. Our mothers always tell us to cross our legs when we sit (even when wearing pants). I always sat as I was taught, while my father sat right beside me—with his ankle on his knee or sometimes with his legs wide open, taking up all that space he pleased. “Why do women stand like that?” She asked us. “Stand firm on two feet!” she demanded. She went on to explain that women often stand in this position, while men usually stand firmly on two feet. Then she asked us: Who do you think it’s easier to knock over? A person’s physical presence is sometimes crucial to their success. Your presence impacts your experience in the workplace, in personal interactions, when giving a speech, and when teaching a class (and I’m sure in other ways I cannot think of right now). My advice: like my dance professor said—stand tall, take up as much space as you want, and observe the ways in which the women and men around you occupy space. I think you will very much like this TED Talks.